November 4, 2013 RHP Cole De Vries elected free agency. October 12, 2013 RHP Cole De Vries assigned to Tigres de Aragua. October 2, 2013 Minnesota Twins sent RHP Cole De Vries outright to Rochester Red Wings. September 9, 2013 Minnesota Twins recalled Cole De Vries from Rochester Red Wings. August 27, 2013 Cole De Vries assigned to Rochester Red Wings from New Britain Rock Cats. August 13, 2013 Cole De Vries assigned to New Britain Rock Cats from Fort Myers Miracle. August 9, 2013 Cole De Vries assigned to Fort Myers Miracle from Rochester Red Wings. August 5, 2013 Rochester Red Wings sent RHP Cole De Vries on a rehab assignment to GCL Twins. July 6, 2013 Cole De Vries roster status changed by Rochester Red Wings. May 18, 2013 Minnesota Twins optioned RHP Cole De Vries to Rochester Red Wings. May 18, 2013 Cole De Vries roster status changed by Minnesota Twins. May 17, 2013 Minnesota Twins reassigned RHP Cole De Vries to the minor leagues. May 15, 2013 New Britain Rock Cats sent RHP Cole De Vries on a rehab assignment to Rochester Red Wings. May 9, 2013 Fort Myers Miracle sent RHP Cole De Vries on a rehab assignment to New Britain Rock Cats. May 5, 2013 Minnesota Twins sent RHP Cole De Vries on a rehab assignment to Fort Myers Miracle. April 7, 2013 Minnesota Twins placed RHP Cole De Vries on the 15-day disabled list retroactive to March 30, 2013. Right forearm strain. October 22, 2012 Minnesota Twins activated RHP Cole De Vries from the 15-day disabled list. 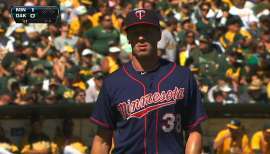 September 14, 2012 Minnesota Twins placed RHP Cole De Vries on the 15-day disabled list retroactive to September 9, 2012. Cracked rib. July 3, 2012 Minnesota Twins recalled Cole De Vries from Rochester Red Wings. July 1, 2012 Minnesota Twins optioned Cole De Vries to Rochester Red Wings. June 30, 2012 Minnesota Twins recalled Cole De Vries from Rochester Red Wings. June 7, 2012 Minnesota Twins optioned Cole De Vries to Rochester Red Wings. May 22, 2012 Minnesota Twins selected the contract of Cole De Vries from Rochester Red Wings. March 25, 2012 RHP Cole De Vries assigned to Minnesota Twins. May 30, 2011 Cole De Vries assigned to Rochester Red Wings from New Britain Rock Cats. April 1, 2011 Cole De Vries assigned to New Britain Rock Cats from Rochester Red Wings. August 23, 2010 Cole De Vries assigned to Rochester Red Wings from New Britain Rock Cats. May 29, 2010 Cole De Vries assigned to New Britain Rock Cats from Rochester Red Wings. May 10, 2010 Cole De Vries assigned to Rochester Red Wings from New Britain Rock Cats. March 29, 2010 RHP Cole De Vries assigned to Minnesota Twins.